Apple is hosting its annual Worldwide Developer Conference (WWDC 2017) today in California and we are expecting a lots of new products from the company to be launched at the event. The company is also expected to announce its latest iOS operating system called iOS 11 that will be available for different Apple products including the iPhone 7 and the iPhone 7 Plus. The company is also expected to launch the new iPADs, Macbooks and other exciting products as well. The live streaming from the Developer conference will be available via the Apple Developer website online and via the WWDC app for iPhone, iPad and Apple TV that is expected to begin at 10.00 AM PDT (6PM BST; 1PM EDT). Let's checkout what we can expect at the WWDC conference today. Apple is expected to announce its new operating system iOS 11 that will have new features including the 'files' app from where you can excess the files and folders on your phone just like with Android. We can also expect updates Siri with improved performance, Maps updates and other new features as well. The company is also expected to refresh the version of the macOS, watchOS and tvOS at the event today. The company is expected to launch the macOS 10.13 OS today as well. Apple is also expected to launch the iPad in the event with 10.5-inch display and is expected to be called as iPad Pro 10.5. It will feature an edge-to-edge display with small bezels on the top and bottom of the iPad. It will be the successor to the last year's 9.7-inch iPad Pro. It is expected to be powered by the latest Intel chipsets and will have more RAM options. A new MacBook Air is also expected at the event with upgrades. The company is also expected to launch new MacBooks at the event. This includes a new MacBook Air that will have a 13-inch display according to the leaks and we can also expect upgraded Macbook Pro and the 12-inch Macbook with new Intel range of processors with more RAM and storage options. A new Siri powered speaker is also expected at the WWDC today that will have a small touch display that will also have integration with Apple Music and will function as HomeKit hub. The device will have the improved new Siri that will be announced today and with which you can give different voice commands to control the speaker. This new smart speaker will have a superior sound quality and will have some other interesting features as well. 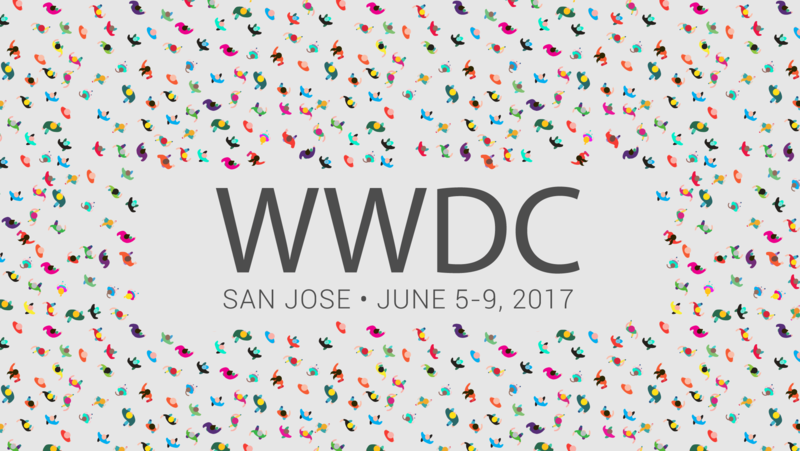 Stay tuned for direct live updates from the WWDC 2017 event keynote that will start at 10.00 AM PDT.